For over twenty years the city of Foligno, in Umbria, twice a year, celebrates its most beautiful and famous tradition from 7th Century, Joust of the Quintana, on stage at the "Campo de li Giochi", a challenge in which ten knights, representing the ten districts of Foligno, test their abilities trying to thread a series of rings of a diameter gradually smaller. 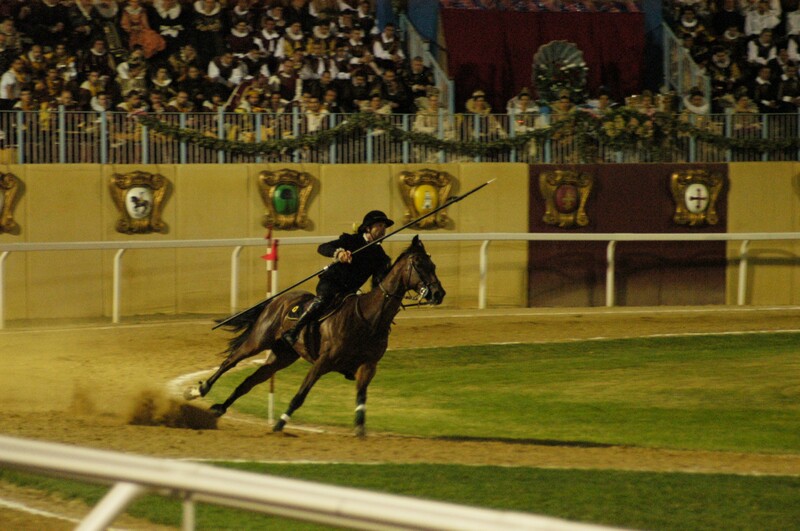 During the race the competitors ride a horse and they grasp a spear. The night before the competition, an historical parade of more than 600 people in costumes, parades through the streets of the city. For more information visit the official website of the Ente Giostra della Quintana: info@quintana.it. Foligno...the centre of the world!